Save school meals for Nebraska kids! Last month, the Improving Child Nutrition and Education Act of 2016 (H.R. 5003) advanced from the U.S. House education and Workforce Committee with markups that would significantly change national child nutrition programs for the worse. As this year’s child nutrition reauthorization was being considered by the Committee, we proudly joined 750 other organizations from across the nation to oppose its harmful provisions. Access to healthy and nutritious food is crucial for children. Research shows that hunger and undernutrition is detrimental in all stages of child development, and can result in lifelong consequences on cognition, physical and mental health, and overall well-being. Unfortunately, child hunger is on the rise here in the nation’s breadbasket—last year, 1 in 7 Nebraska households didn’t know where their next meal was coming from. Cuts to the Community Eligibility Provision (CEP), a new federal option that has allowed high-poverty schools to serve more children by reducing administrative burdens. In Nebraska, 9 of 112 eligible schools have adopted this provision, and recent legislation reducing barriers to the adoption of CEP is expected to increase participation. This opportunity has demonstrated success across the country, with wins or administrators and staff as well as for children. 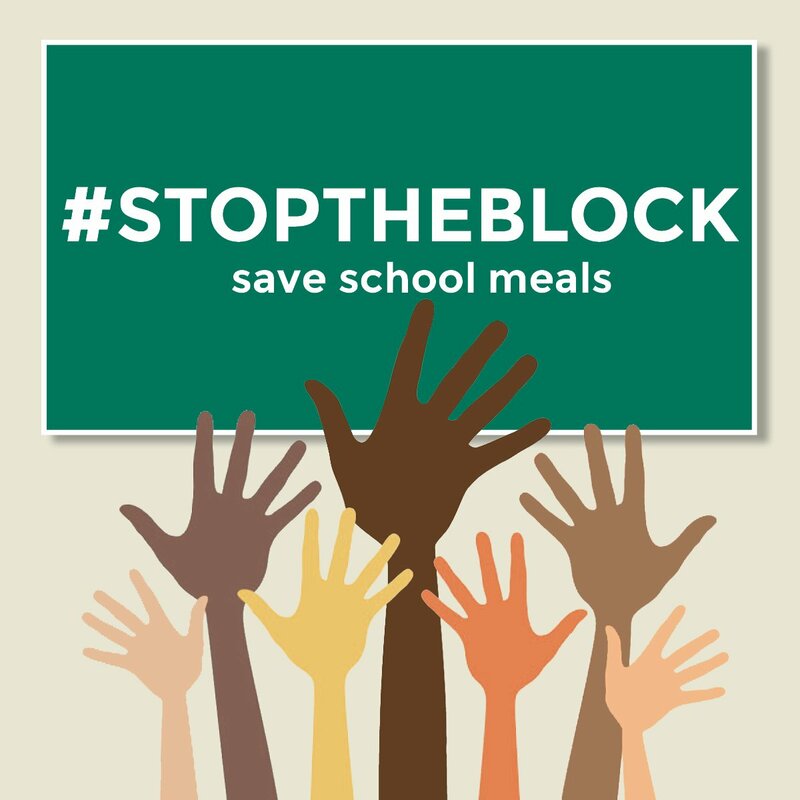 A new School Meal Block Grant pilot, which would severely limit the flexibility of school nutrition funding for states. The bill would allow three states to apply for the program, but the pilot is intended to introduce change across the country in the long term—this capped funding mechanism would put additional financial strains on schools while also putting meals for low-income children at risk. Changes to the school meal application process and nutrition standards. The effect of these changes is expected to disproportionately affect vulnerable or poor families, while also weakening current nutrition standards in schools. For a complete analysis of the proposed bill, read an analysis compiled by the Food Research & Action Center here. Last year, nearly 140,000 Nebraska kids were eligible for free and reduced meals in schools, and the state received nearly $75,000,000 in federal funds to serve its students school meals. Join Voices and thousands of other organizations across the country in calling on your member of Congress to save school meals for Nebraska kids and to continue investing in our state’s future! Weinreb, L., et al. (2002), Hunger: Its impact on children’s health and mental health, Pediatrics, 110(4), http://pediatrics.aappublications.org/content/pediatrics/110/4/e41.full.pdf. Your ticket for the: Save school meals for Nebraska kids!